Nikon D3000 with a 35mm f/1.8 prime lens. Fantastic for anything from going to the park with the fam to shooting a wedding. The whole package there should be under your $600 budget too! I use a Canon 40d, with a 24-70 2.8L and a 70-200 2.8L IS. The camera might be within range, but the lenses are extremely expensive. In retrospect, starting out, i'd get either a used Canon 40D, 50D, or a Nikon D series and a fast (2.8) telephoto lens. I'll snap a pic of my setup tomorrow. I started with the "budget" photographer in mind, but wound up spending over $4000 in equipment. My wife uses and enjoys a NIkon D3100. If you pay attention to bundle deals you can get this with two kit lenses for less than your price point. Myself - I don't use any camera that we wouldn't mind having burst into flames. I kill digital cameras. All I have to do is pick one up and it starts having weird problems. However, I used to love my 35 MM SLR cameras, but it is such a pain to deal with the film cameras with the limited film and development choices that remain. Thanks. Could you guys post some links or let me know some places to shop around? Basically, I'm looking for something simple for a beginner to use that takes quality pics and good close ups. If I need to spend a bit more for a lens on top of what I'm willing to spend it's not a problem. I use a cheap little 16MP Panasonic Lumix SZ1 that was like $120, it takes great pictures, even in fairly low lighting and really surprising quality 720p video for the price and it will do about 250-300 shots on 1 charge. It's far from top of the line but it's all I need and if I break or lose it I'm not out much dough. (09-04-2012, 08:10 PM)Arcadies Wrote: I use a cheap little 16MP Panasonic Lumix SZ1 that was like $120, it takes great pictures, even in fairly low lighting and really surprising quality 720p video for the price. It's far from top of the line but it's all I need and if I break or lose it I'm not out much dough. similar to ours. a canon SX150 with case and extras from costco...$160. we can replace it in a year with no worries and it takes decent pics and decent video. For that budget you might be able to buy a Canon SLR digital. I'm not sure what a Nikon D7000 will run you on your side of the pond; if you can fit in in your budget it's a really nice camera. Bought mine as a bundle with a 18-105 DX lens which is a good all round lens, but the nice thing is that it's compatible with all the lenses I already had for my 35mm Nikon SLR. Well, I had a Nikon D5000 with some lenses and a Nissin Flash. It took great pictures and I liked the camera very much, but I found it too much of a hassle always changing lenses, toting around a rather large camera bag to the point I was rarely using my camera. I sold off the D5000 and bought a Canon G12. This is an outstanding camera! I have all the manual control I could ever want and it's much less equipment to carry around. I did pick up a Nissin flash for this camera as well. The flash works great with the camera. Good luck in your search for the perfect camera. Great point and shot camera,with 20X zoom. I just sold my Nikon D-40, I will be replacing it with another DSLR. I'm seeing some nikon love here. What do you guys think about this D5100 Kit? Looks like a nice kit. Check B+H, Cameta, Abes of Maine also. Very reputable sellers. Great camera body, great seller. That kit lens is fine, but honestly you may want to consider a 3100 body with a separate lens. My favorite all-purpose lens can be had for under $200. (09-06-2012, 10:18 AM)brian Wrote: Great camera body, great seller. I was looking at that lens, too. Should be great with close ups, correct? I'm pretty new to the digital camera scene and don't really understand much about lenses with all these numbers. It's kind of confusing. Yes, it's fantastic for close-ups! It's a prime lens, which means the mm are fixed. No zooming in and out. I think you'll find that the quality for anything up close or normal use is breathtaking. I get bokeh in so many shots without even trying. It's also fantastic in low-light situations. As far as zooming, you'll find that you've got to spend $$$ to have high quality shots from far away, and it doesn't seem like that's what you're after anyway. (09-06-2012, 11:16 AM)brian Wrote: Yes, it's fantastic for close-ups! It's a prime lens, which means the mm are fixed. No zooming in and out. I think you'll find that the quality for anything up close or normal use is breathtaking. I get bokeh in so many shots without even trying. I make jewelry in Downtown Manhattan (Chinatown), It's a family owned business. We sell masonic rings and pendants on ebay, a camera/lens that's good with close ups would be great for that. That's what I'm looking for, something that's good for portrait pics to taking close ups of insects. Basically, everyday use like you said. Mostly a Olympus epl1 with the kit lens. 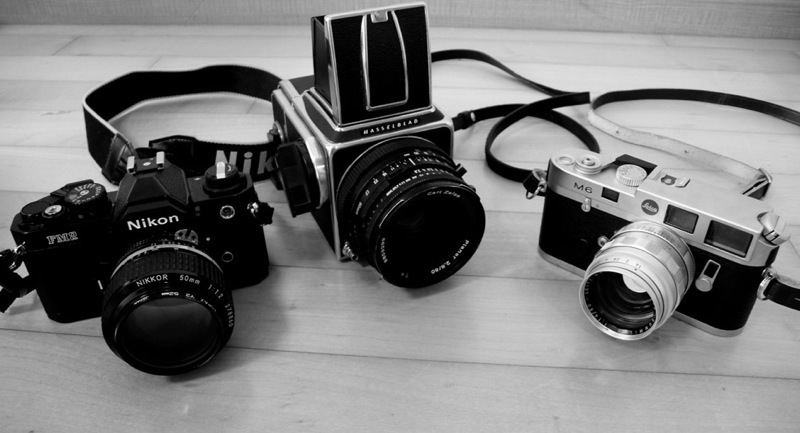 Have some old manual lenses with adapter if i feel artistic. Also a Canon 1000d that dont get much use since i got the olympus. The only digital camera that I own is the one in my cheap Samsung cellphone.